I’m entering this discussion late, although I’ve been watching with great interest. What I’ve noticed is that much of the discussion, both in the blogosphere and the media, is confusing or ignoring the fact that there are actually two questions involved here. ... Click to read more! Mars food company announced on Friday that it is partnering with IBM and the Department of Agriculture to sequence and analyze the entire cocoa genome.Mars will provide more than $10 million and will make the sequencing and analysis results freely accessible through the Public Intellectual Property Resource for Agriculture. Unfortunately for those of us that love chocolate, the cacao tree is under attack.According to an article in the Washington Post, â€œWest Africa, which produces 70% of the worldâ€™s cocoa, has been hammered by bad weather in the past few years.â€Additionally, the cocoa industry in Brazil has been almost completely destroyed by a fungus known as witchesâ€™ broom. ... Click to read more! Ann Turner is the founder of the GENEALOGY-DNA mailing list at RootsWeb and the co-author (with Megan Smolenyak) of “Trace Your Roots with DNA: Using Genetic Tests to Explore Your Family Tree.” She received her undergraduate degree in biology in 1964 and her M.D. from Stanford University in 1970. In recent years, she developed software for neuropsychological testing and wrote utility programs for the PAF genealogy program. One of these utilities provided a way to split out all people in a database who were related via their mitochondrial DNA, six years before mtDNA tests were commercially available. The inspiration for this feature came from the (then) forward-looking predictions of Dr. Thomas Roderick, now associate editor of JoGG. ... Click to read more! TGG: How long have you been involved in genetic genealogy, and how did you become interested in the field? Have you undergone genetic genealogy testing yourself? Were you surprised with the results? Did the results help you break through any of your brick walls or solve a family mystery? You founded DNA Heritage in 2003. What led you to create the company? Can you also tell us a little bit about Ybase? ... Click to read more! 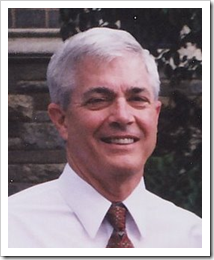 “Terry is co-founder of WorldFamilies.net, President of the Barton Historical Society (BHS) and Co-Leader of the 193 member Barton DNA Project. He is the â€œLine Leaderâ€ for the Thomas (1,2,3) Barton family of Stafford Co VA and for the David Barton married Ruth Oldham family. He has made a number of presentations about using DNA in Genealogy, the Barton DNA project and his great-grandparent’s “Barton House” and has written many articles for the BHS Newsletters and website.” ... Click to read more!